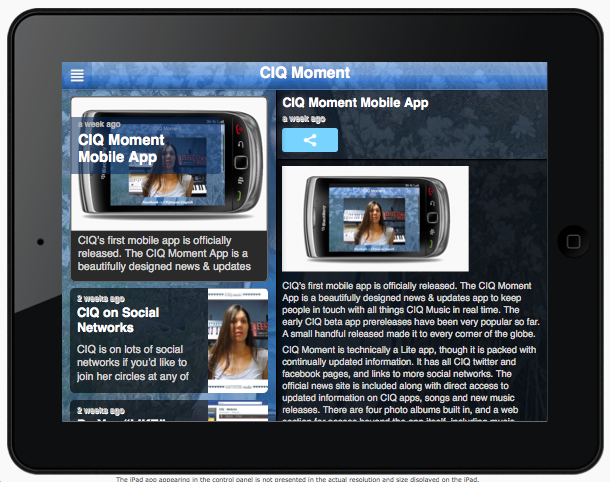 The new designs are slight adjustments that make the apps look more like a fashion magazine than mini websites inside your cell phone. 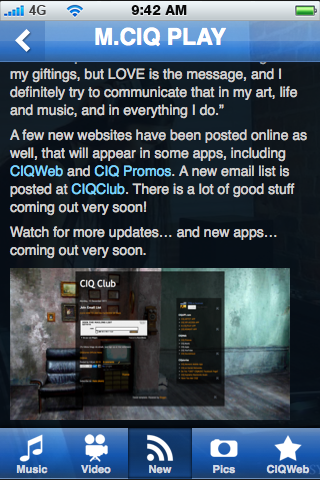 They also offer more functionality and space to pack more inside, so CIQ is taking full advantage of the updates, and the creative opportunity to get her message out. 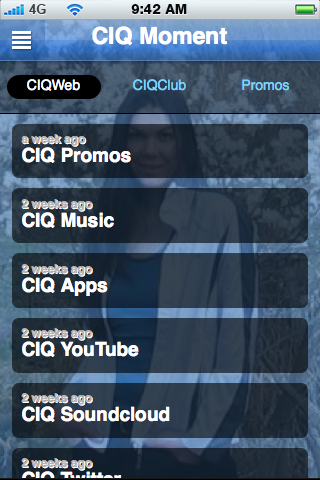 A few new websites have been posted online as well, that will appear in some apps, including CIQWeb and CIQ Promos. 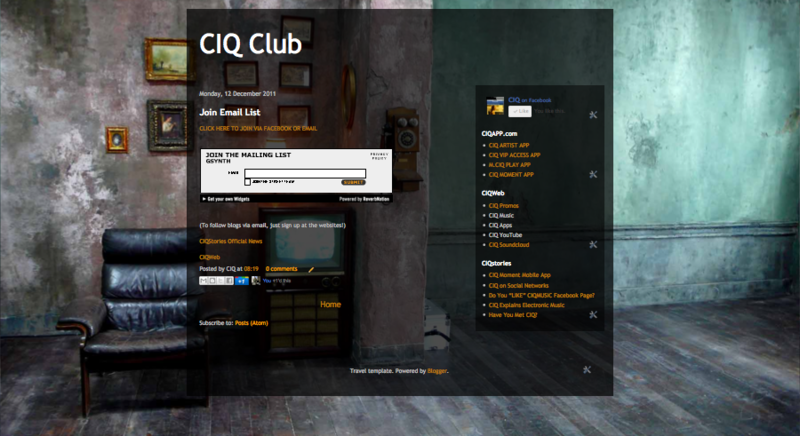 A new email list is posted at CIQClub. 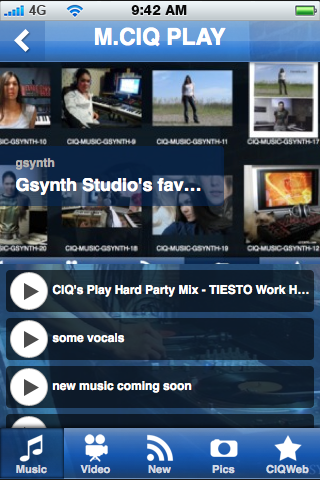 There is a lot of good stuff coming out very soon! 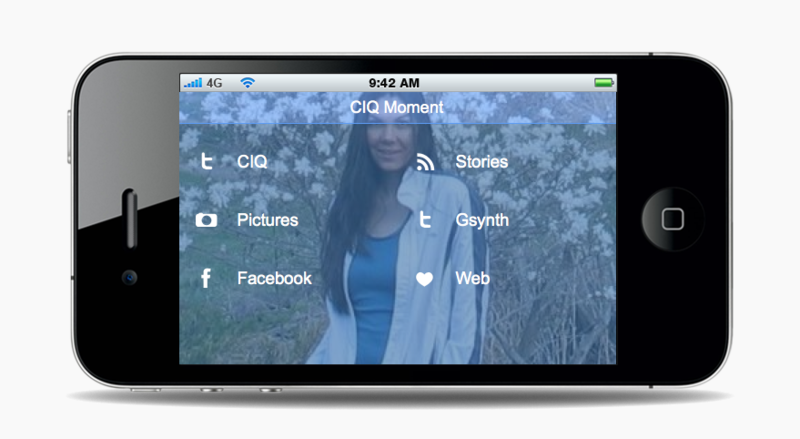 Watch for more updates… and new apps… coming out very soon. 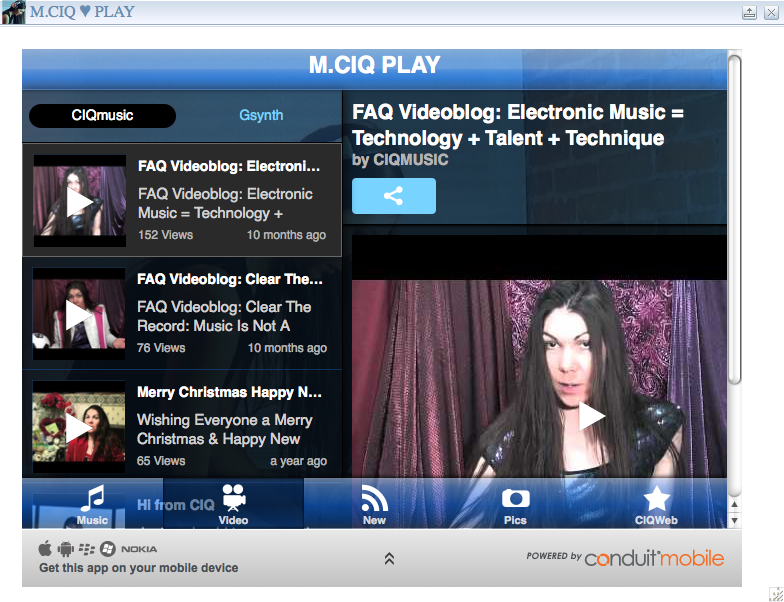 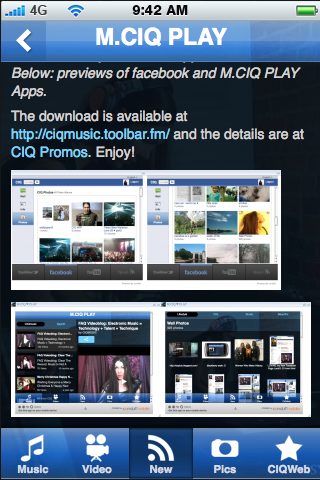 CIQ’s first mobile app is officially released. 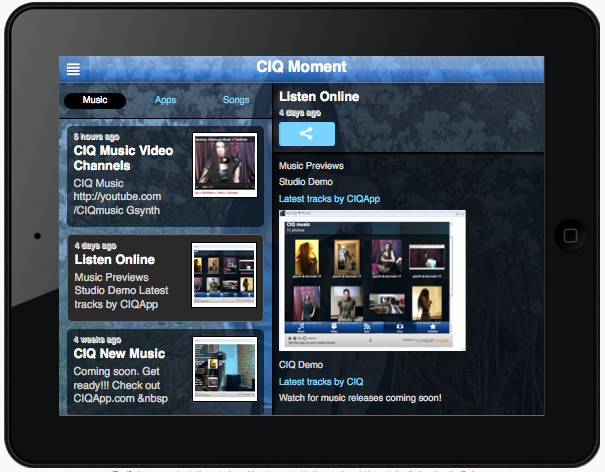 The CIQ Moment App is a beautifully designed news & updates app to keep people in touch with all things CIQ Music in real time. 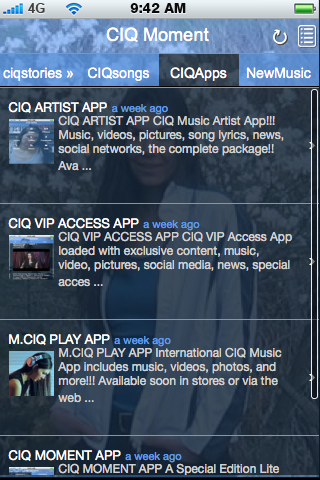 The early CIQ beta app prereleases have been very popular so far. 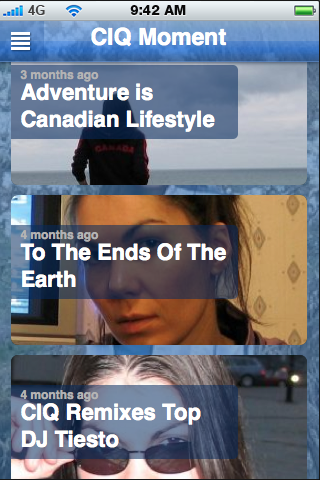 A small handful released made it to every corner of the globe. 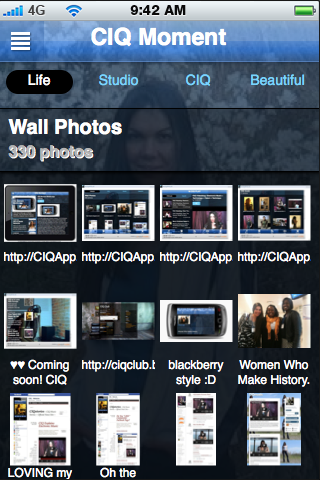 CIQ Moment is technically a Lite app, though it is packed with continually updated information. 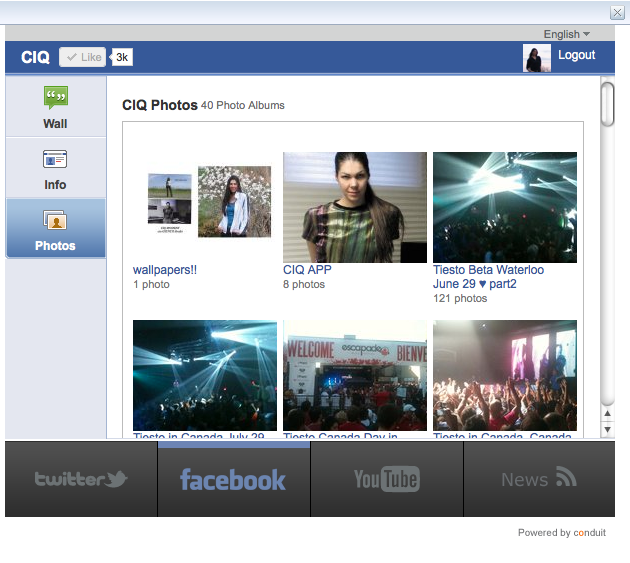 It has all CIQ twitter and facebook pages, and links to more social networks. 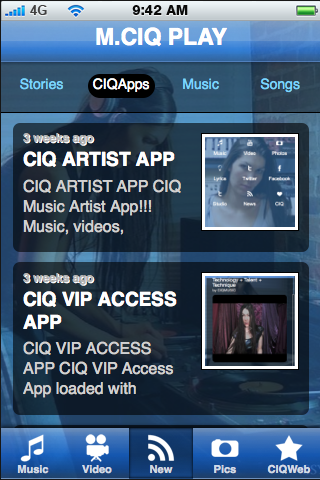 The official news site is included along with direct access to updated information on CIQ apps, songs and new music releases. 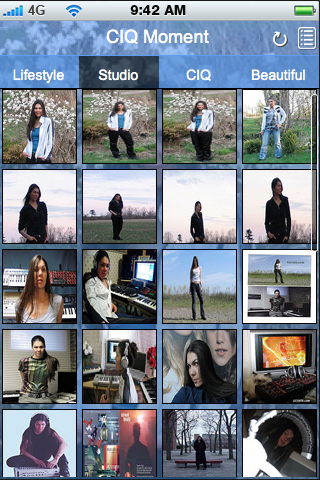 There are four photo albums built in, and a web section for access beyond the app itself, including music, videos and social networks. 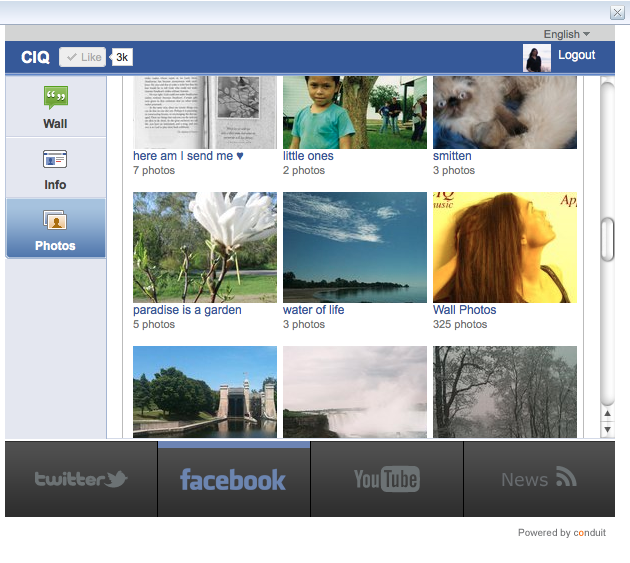 The news, facebook and twitter sections all have sharing capabilities on facebook, twitter and email. 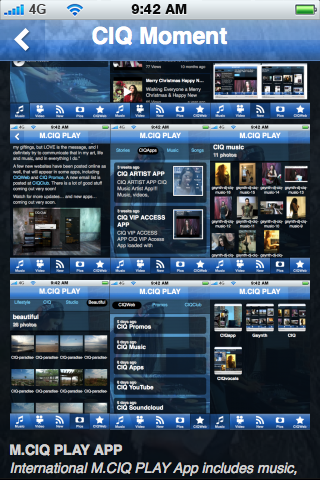 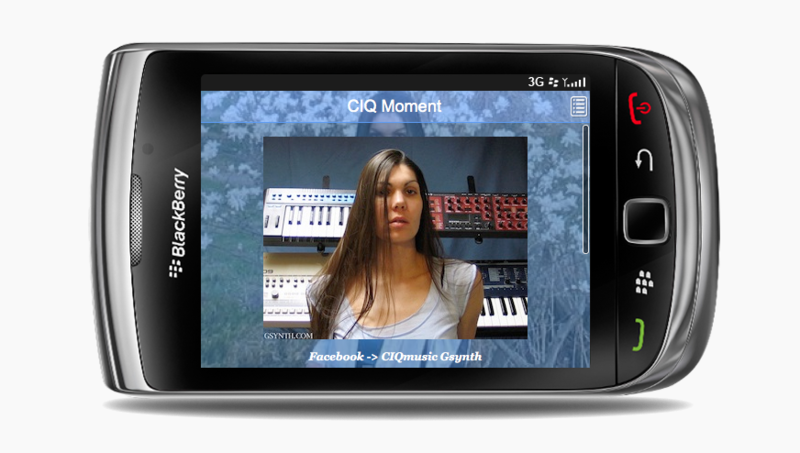 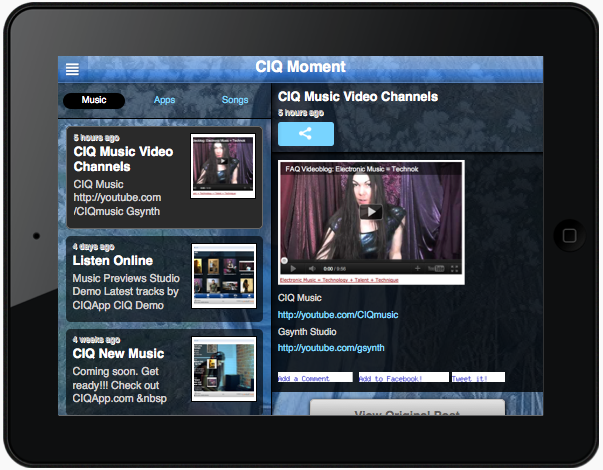 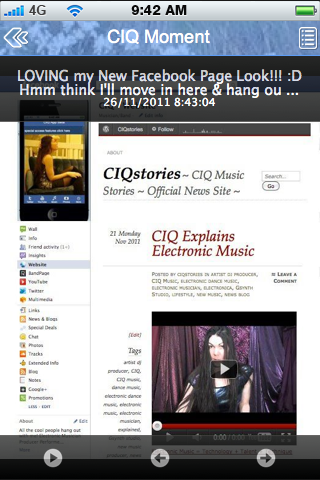 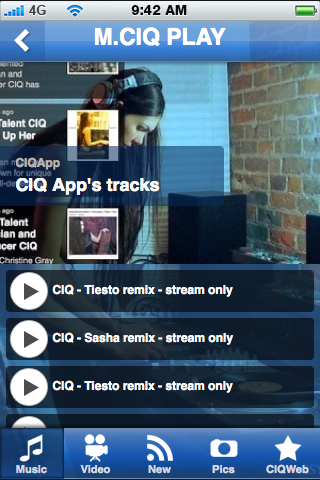 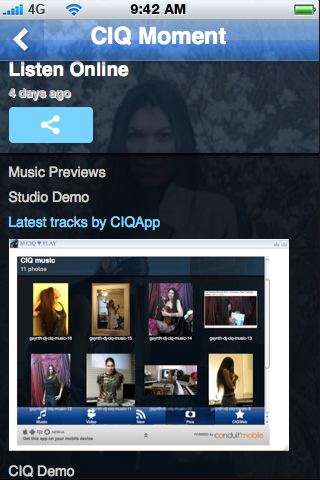 The CIQ Moment App has been released to iTunes and Android market and can be downloaded via the web. 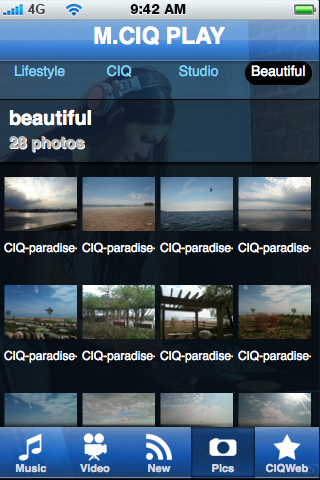 Check out the beautiful screenshots. 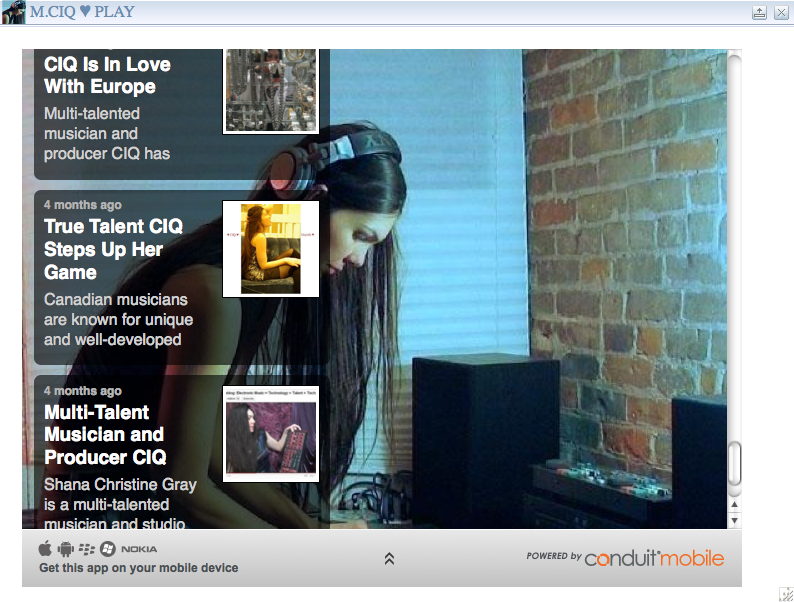 It really is a simple, convenient way to check on what’s new at anytime from your mobile. 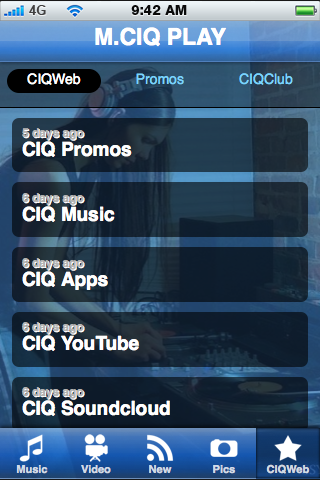 And keep an eye out for the new apps coming soon! 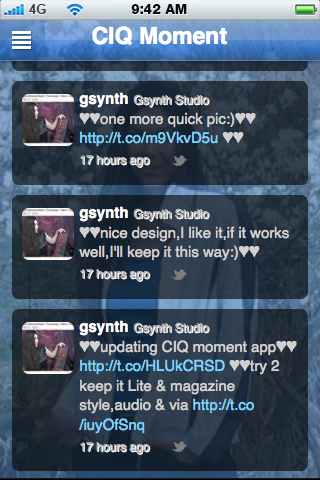 They could be officially released at any moment! 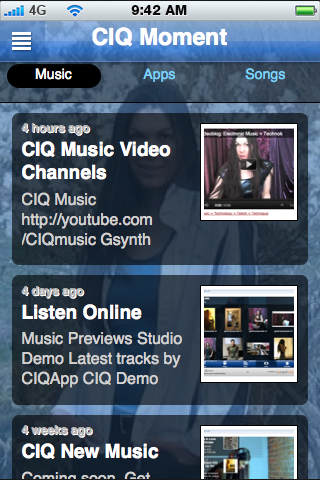 Do You “LIKE” CIQMUSIC Facebook Page? 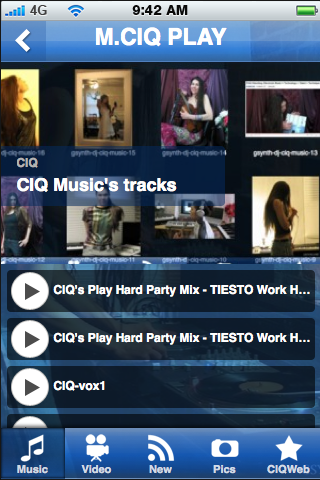 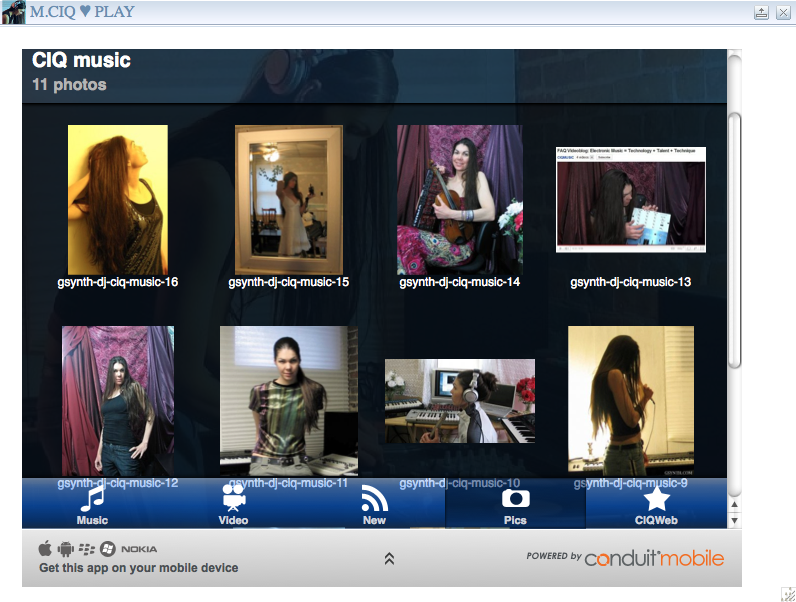 Her colourful and creative CIQMusic page includes the wall and info tabs, a website, bandpage, youtube, twitter, multimedia, links, news & blogs, special deals, a chatroom, photos, tracks, extended info with more social networks links, blog, notes, Google plus, and a promotions tab. 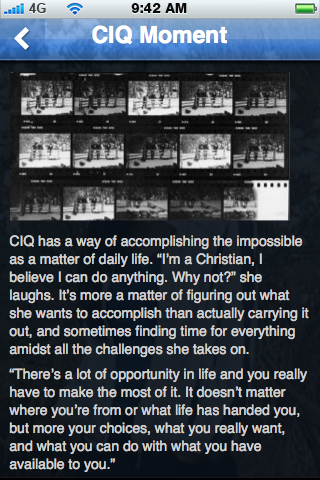 “I like to overdeliver a bit on expectations. 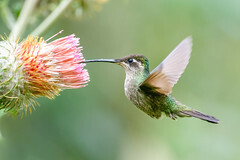 Bring something kind of exceptional and extraordinary into everyday things.” It still has a nice uncluttered flow, and is packed with lots of fun and interesting content. 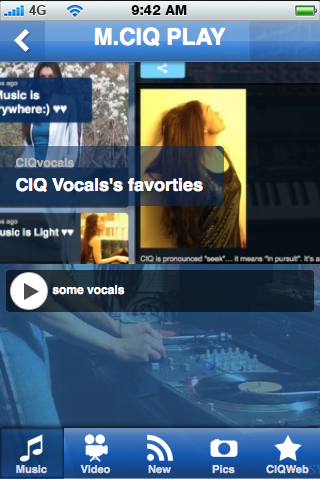 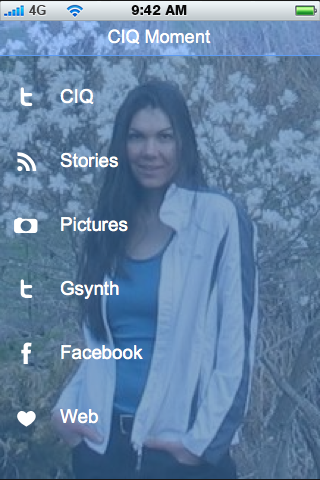 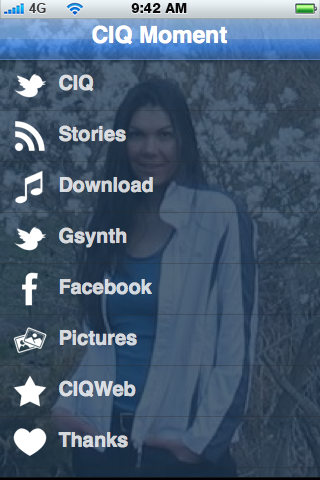 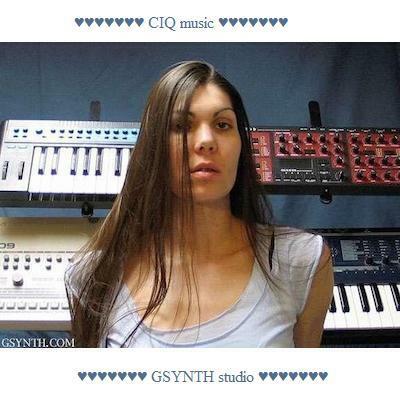 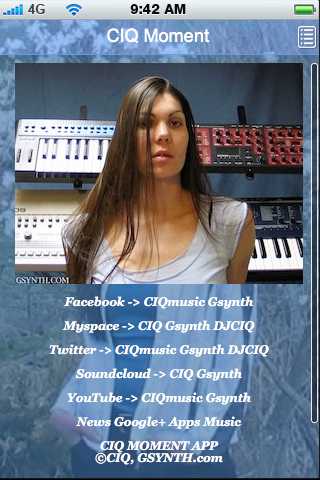 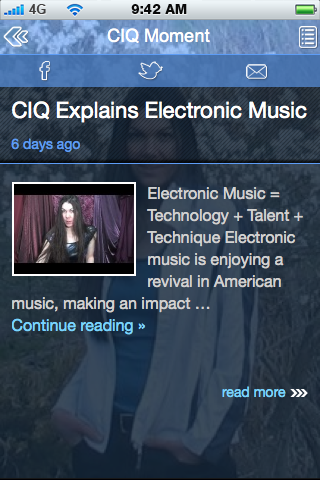 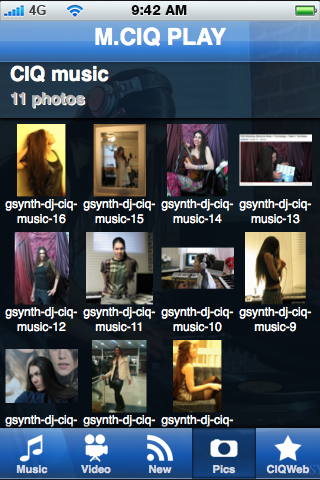 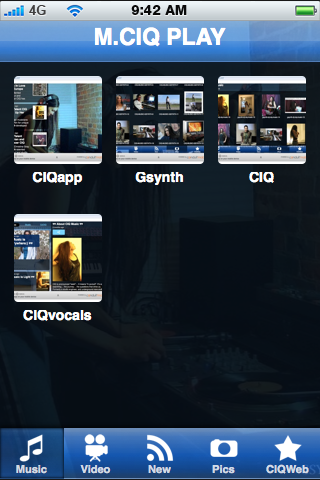 Her main CIQMusic page is at facebook.com/CIQMusic and another page for Gsynth Studio is at facebook.com/Gsynth . 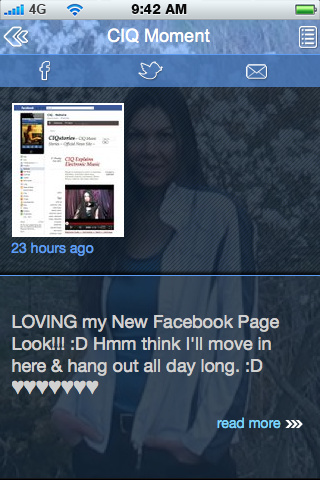 Please take a minute and show your support by “LIKING” her page. 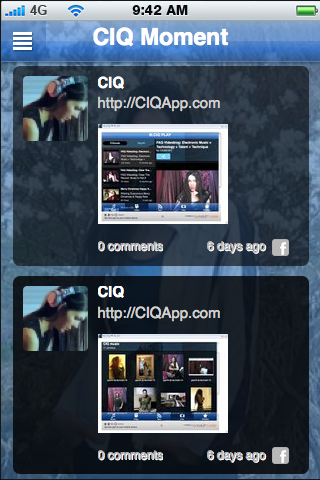 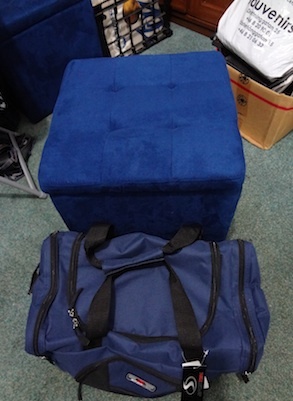 She has some free stuff promotions (and maybe some contests, time permitting!) 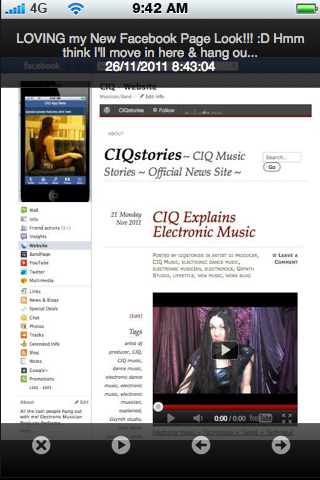 for her CIQMusic facebook page coming up soon! 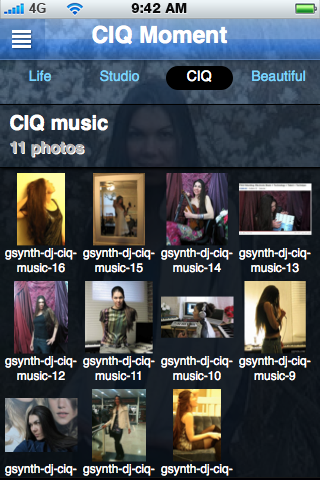 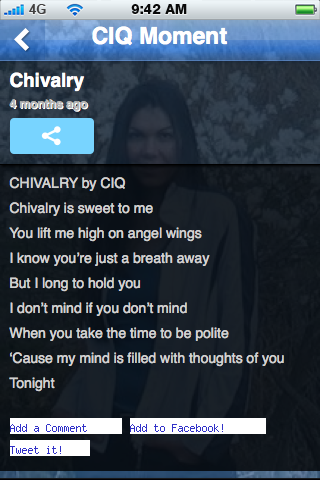 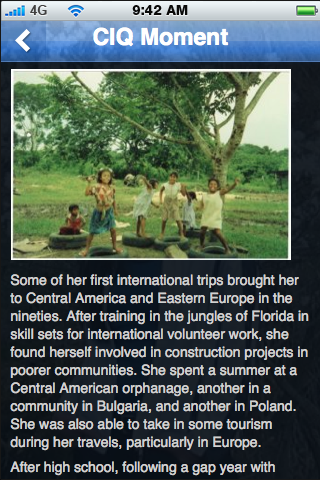 Whether or not you have met CIQ in person, you can meet her online. 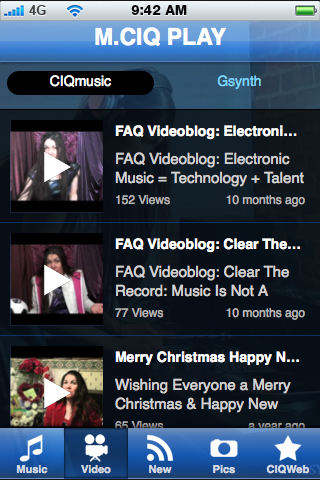 With her YouTube channel and a handful of websites and blogs, you can now catch some glimpses of the Canadian producer and her creative work. 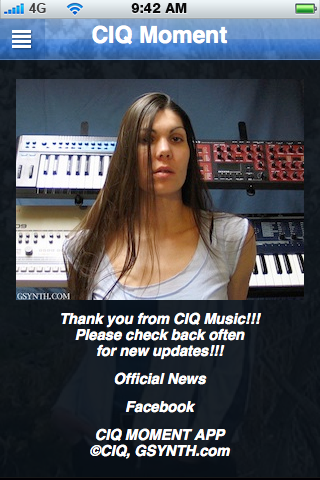 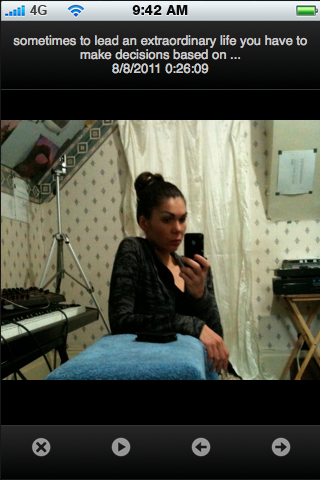 This is just the beginning for this talented keyboardist who has not posted much of her work online previously. 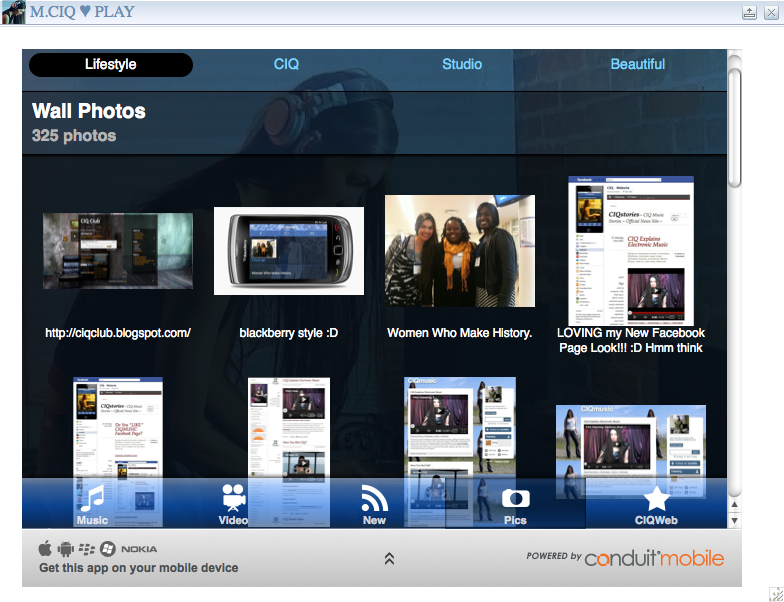 With the upcoming launch of her new mobile and browser apps, soon you will even be able to take her with you, and to stay on top of all the latest news, music, and upcoming releases. 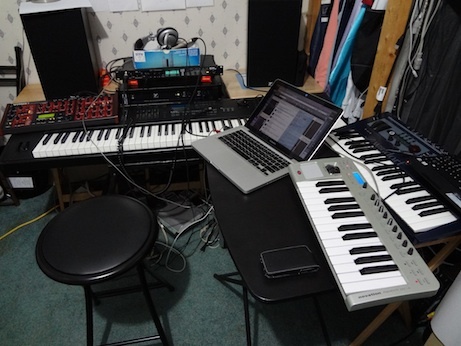 She’s never really settled in anywhere for very long, and likes to use a single space as much as possible for everything from recording music and internet communications, to photography and video, and even eating and working out, and late nights in the studio. 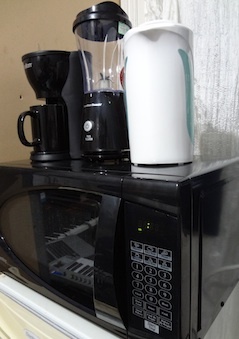 She just put a little kitchenette in the studio mainly for coffee, orange juice and quick meals at all hours.